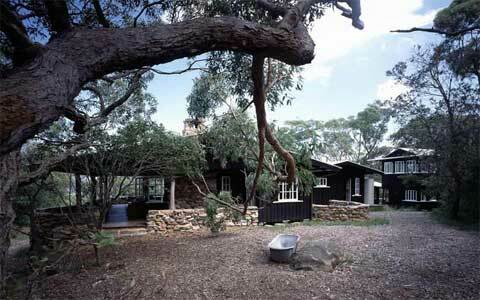 Here is an award winning heritage project that included restoration, renovation, and new extensions for a charming 1916 timber beach bungalow. 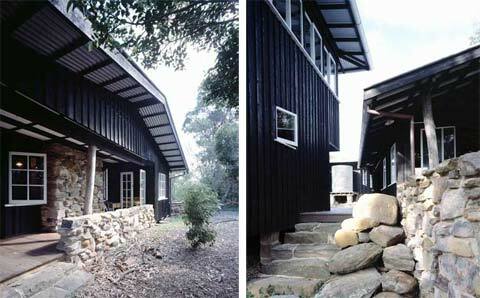 The architects sought to provide a solution to accommodate a family with four children, but with a minimal change to the original house. 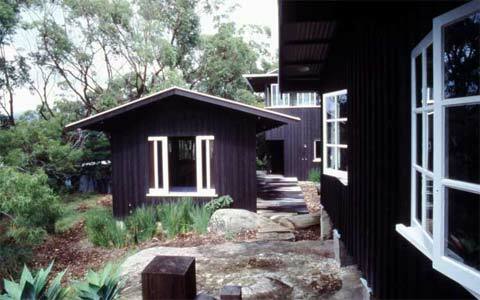 Originally designed by Sydney architect James Peddle, the tiny “Arts and Crafts Timber Bungalow” has been untouched since 1921 and had been kept in poor shape. 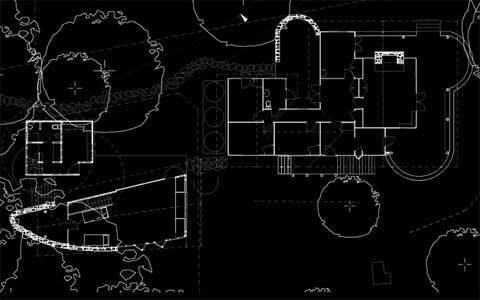 The house was restored and given an upgraded kitchen and bathroom. The wonderful result of the new design also included two new extensions in pavilion form, subtly sustaining a respectful co-existence of old and new. 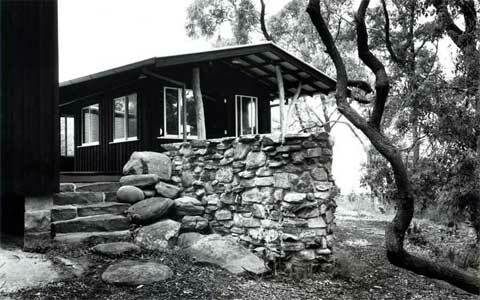 The additions – a two-story tower to serve as the parents’ retreat, and a long building for the children – were stepped down the hill, positioned to form a series of external spaces, and serving as modern interpretations of the original bungalow by using the same stone, corrugated iron and timber as the original.